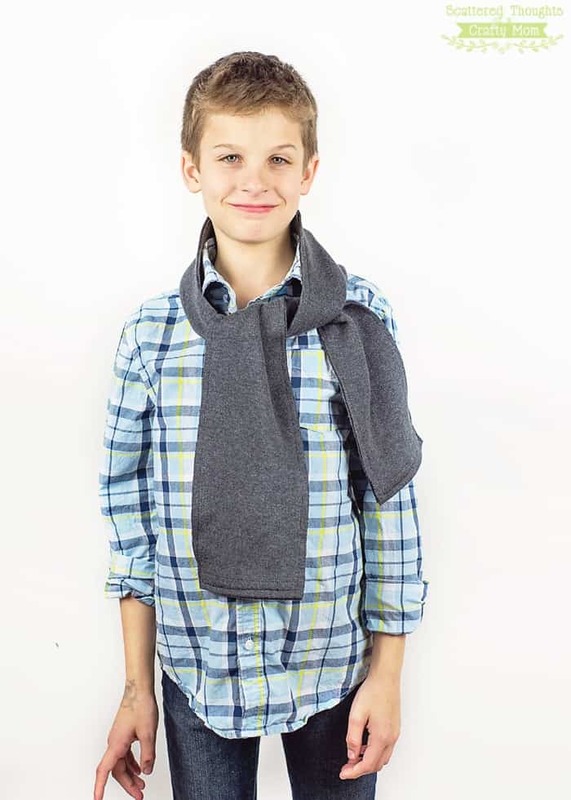 This 5 minute Scarf Tutorial is a great quick and easy sewing project. 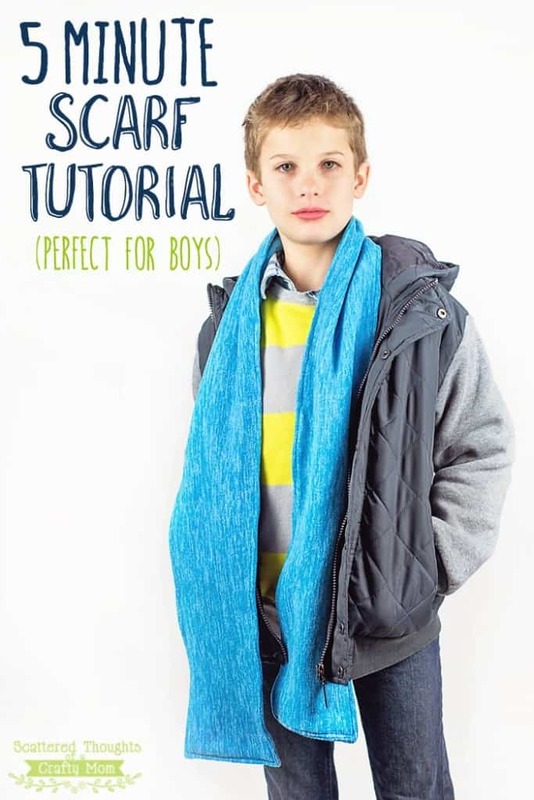 The scarf is perfect for both boys and girls! Anyway… Back to the subject of these scarves. It’s been darn cold in the mornings lately and I feel bad sending my guys out to wait for the bus. 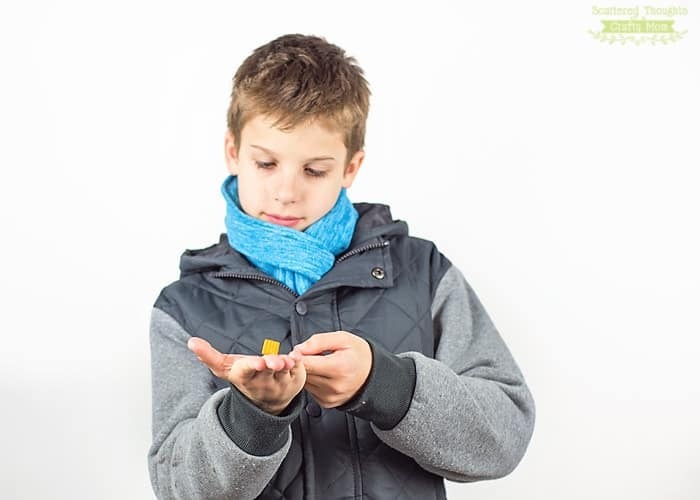 I bundle them up as much as I can, and I realized recently, my son does not have any scarves to keep his little neck warm! I knew I could remedy that in a flash and it would also give us a chance for a little one on one photo time. These scarves took all of 5 minutes to make! Click here for the scarf instructions.